Its fame and renown is often attributed to its comprehensive and expansive storyline and its writer Kinoko Nasu's unique style of storytelling. As well as its anime and manga adaptations, it has also spawned numerous merchandising and memorabilia franchises. A remake to the visual novel is also currently being planned. A screenshot of gameplay in Tsukihime. The colors of the backgrounds in the game are often monochromatic shades of dark blue at night, with lighter blues and vermillion in the day adding a film noir atmosphere. Tsukihime's gameplay requires little interaction from the player as most of the game's duration is spent on reading the text that appears, representing either dialogue between the characters or the inner thoughts of the protagonist. The player is presented with choices, some affect the story in large ways, others do not affect the story at all or affect it in small ways. Changes that affect Shiki's opinion on the characters and heroines usually change the direction of the story drastically. Some options can lead to (often violent) deaths for Shiki, after which the player can optionally view a comedic section called 'Teach me, Ciel Sensei! ',where Ciel educates the player on their decisions and offers hints on how to avoid them on the next playthrough. There are two scenarios: the Near-Side Route (as in "near-moon") which includes Arcueid and Ciel as selectable heroines, and the Far Side Route (as in far-moon) which includes Akiha, Hisui, and Kohaku as selectable heroines. Every heroine except Kohaku has two possible endings. When the player has achieved all possible endings, a new section is unlocked, entitled Eclipse. Eclipse is an ending to all routes, and an epilogue of sorts. Tsukihime's plot follows the perspective of Shiki Tohno (遠野 志貴, Tōno Shiki), a second year high school student of Misaki Town, who suffered a life-threatening injury when he was young. When he regained consciousness, Shiki was able to see "death lines", lines by which things will eventually break when they die. This includes the death of inanimate objects as well as living beings and undead beings. Because of his Mystic Eyes of Death Perception making him see death lines Shiki has immense headaches as his mind cannot cope with the sight of death. Soon after he is given a pair of glasses from Aoko Aozaki that blocks the sight of these lines. The game then advances to Shiki's second year of high school. After his injury, he was banished to a branch family of the Tohno household. After eight years he is called back home by his younger sister, Akiha Tohno (遠野 秋葉, Tōno Akiha), when she assumed the responsibility as the family's head. After moving back Shiki has trouble adjusting to the old-fashioned lifestyle his sister lives by. As the story progresses the plot diverges depending upon the choices the character makes. Shiki must use his powers to confront supernatural beings such as vampires, that are known as True Ancestor (真祖, Shinso) and Dead Apostles (死徒, Shito). The two plot routes that follow Shiki with Arcueid or Ciel are the Near Side of The Moon routes while the three routes that follow Shiki with Akiha, Hisui or Kohaku are the Far Side of The Moon routes. In both of the Near Side of The Moon routes, Shiki discovers a beautiful woman named Arceuid passing by and, in a fit of madness and lust, murders her. However, she reveals herself as an immortal vampire and promises to spare Shiki if he acted as her shield in her quest to kill a vampire. Shiki and Arcueid together defeat a vampire named Nrvnqsr Chaos. From here, in the Arcueid route, Shiki kills the soul of Michael Roa Valdamjong, Arceuid's true objective. He discovers that Akiha is not his real sister and that his past as the former heir of Tohno family was made up by his "father", Makihisa Tohno via hypnotism, whose powers the Tohno family had due to a weak demonic lineage. Shiki was adopted in the Tohno family when he was little because he had the same name as the real family heir SHIKI Tohno. However, when SHIKI and Shiki were nine years old, SHIKI murders Shiki in a fit of madness. Makihisa kills SHIKI, thinking that the demonic blood had made him insane, but could not finish the job as he was still his child. In reality, the vampire named Michael Roa Valdamjong had chosen SHIKI as his host body for his new reincarnation and started to emerge after his sixteenth birthday, which was the real reason that drove him mad. In order to maintain the family name, Makihisa informs the world that the adopted child had died in a car accident, which also left the real heir incapacitated. With this declaration, Makihisa switches the lives of Shiki and SHIKI. However, he still could not have Shiki with him, and had him sent to the Arima family, from where he returned 8 years later, at the beginning of the game. It is revealed that Arcueid is a royalty amongst vampires. She was created by the True Ancestors as a weapon and had never experienced joy and life as a normal person until she met Shiki. Shiki and Arcueid fall in love and depending on the ending, are united together or are separated. In the Ciel route, Shiki is much more fearful of and cautious around Arcueid. Instead he spends more time around his upperclassmate, Ciel. They form a friendship and begin to care for each other. After Shiki and Arcueid defeat Nrvnqsr Chaos, they part ways. Ciel reveals herself to be a hunter from the Vatican, who came to Japan to kill Roa Valdamjong. It was revealed that SHIKI Tohno was Roa's eighteenth body host in his quest for immortality, while his seventeenth host was none other than Ciel, who was born in 1976 in France as Elesia. After Roa took over her after her sixteenth birthday, she killed everyone in her town. Arcueid had come to the town, where she killed her, after which Roa went off to his next host, SHIKI, leaving Elesia's body and soul to perish. Afterwards, Elesia's body was taken by the Vatican, where they did numerous experiments on her to kill her, but they discovered that she could not die until Roa's soul was eliminated. Together, Ciel and Shiki confront SHIKI, and almost destroy his soul until Arcueid returns to kill him, where she only destroys his host body. Roa's soul takes refuge in Shiki's body, as the two became connected after SHIKI had murdered Shiki when they were kids. This starts to drive him insane. Ciel reveals that she knew that Roa was now inside Shiki and tries to destroy both their souls, but is unable to do so due to her affections for Shiki. She leaves the city to look for a way to separate Roa from Shiki using the Church. However, when Arcueid shows up and confronts Shiki, he realises that the only way to destroy Roa's soul was by stabbing himself at his death point. Shiki and Ciel, who has returned from her trip, confront Arcueid, who offers to destroy Roa's in exchange for making Shiki her slave. Depending on how the confrontation goes, Arceuid may or may not attack Shiki and Ciel. If she does, she will leave the country after losing. Either way, Shiki stabs himself, killing Roa, but surviving himself. At the end Ciel and Shiki end up together. If Arcueid did not attack, she will remain in the city, revealing that she has feelings for Shiki as well, and decides to remain with him and Ciel. These routes are unlocked after completing at least one of the near-side routes and having low affection with the two previous heroines. This side's stories consist of events pertaining to the Tohno family and its dark history. In all of the Dark-Side Routes, Shiki finds that his classmate, Satsuki Yumizuka--who has a crush on him, has disappeared. Seeking to find her, he ignores the blonde haired woman(Arcueid) who passes him by, never encountering her. In a back alley he finds her, alone, hands covered in blood and not acting like herself. After a second encounter she reveals herself as having become a vampire, a surviving victim of the recent incidents. He kills her after she attempts to turn him, believing her responsible for the recent string of murders. From there Shiki returns home believing the vampire incidents have ended for good. Shiki in this route is more home-centered and attached to his sister, Akiha. Akiha has been upset with him, but still seeks to reconnect with him as a sister. As Shiki adjusts to his life at the mansion, he starts having dreams of someone stalking the night and murdering, dismembering and draining people of their blood. Ciel suspects Shiki of being the culprit and attacks him. After ascertaining his innocence she reveals that Akiha, instead may be responsible. Ciel then reveals details about the Tohno family's non-human nature. After this Shiki confronts Akiha, she explains the Inversion Impulse, a tendency for members of the family strong with the non-human blood to drastically shift in personality towards murderous insanity and that her true brother SHIKI had undergone it 8 years before. The connection formed between SHIKI and Shiki lingers today and gives Shiki visions of SHIKI, who is the real threat. SHIKI reveals himself to Akiha, wanting to take her back as his sister and kill Shiki for taking her away and living the life that was his. Akiha uses the powers of the Tohno to fight him off which puts considerable strain on her. She tells Shiki that she may Invert herself if she overexerts herself and that so much of her power goes into keeping Shiki alive to compensate for the connection between SHIKI and Shiki. She tells him that his true family was the Nanaya clan, who Makihisa had exterminated years before. Ciel tells Shiki that, if worse comes to worst, he must kill Akiha. Despite this she gives him the chance to save her. SHIKI kidnaps Akiha and attemps to bring her to his side. Shiki fights and kills SHIKI, who reveals that Akiha has already inverted. Shiki runs over to Akiha, who has regressed to a child-like murderous insanity. Shiki can choose to spare or kill Akiha, or kill himself. Sparing results in Akiha remaining inverted and Shiki working to keep her from killing, whereas killing Akiha results in a 'Bad End'. Choosign to kill himself reverses Akiha's inversion and after a time-jump she still feels his life-force, that he is still alive. It is here where Hisui gets focus. Shiki remembers two girls from back then, a cheerful girl, who played with him and Akiha and a girl by the window, who watched them from the mansion's window, never leaving. He recognizes Hisui as the girl by the window and Kohaku as the cheerful girl. It is with Kohaku that he tries to form a connection with. Neither of the two remember the times that Shiki brings up in conversation. This route is only playable after playing through Hisui's route. The difference in the beginning is that the girl Shiki wanted to meet was the girl by the window. Shiki goes to the field where he first met sensei. Aoko meets him again and they discuss things. The player assumes the role of Shiki Tohno, the protagonist of the series. He has "Mystic Eyes of Death Perception," which allow him to see the death of things in the form of "lines" and "points" on objects and people; cutting the lines destroys the portion cut, while piercing the point destroys the existence of the object itself. He carries a switchblade which he is forced to use as protection against the supernatural enemies he encounters. He has been living with the Arima family, one of the branching families of Tohno, since an accident 8 years ago. At the beginning of the game, he moves back home with his sister, Akiha. Arcueid is a mysterious vampire princess, she lacks some vampiric qualities, such as that of needing to consume blood to survive(though she suppresses the desire), and being nocturnal. She seems to be quite knowledgeable about many things, but is portrayed as very naive when it comes to modern ideas. She is killed by Shiki in the first chapter, but she doesn't actually die, having regenerated from her dismemberment, and, in turn, recruits Shiki to help her fight Roa. The second heroine Ciel is the sole member of the Japanese tea ceremony club and an upperclassman of Shiki's, or so it seems. She is actually the seventh executor for "The Burial Agency", a shadow branch of the Church created to exterminate "heretics". Her body was used as Roa's last incarnation for its superior magic circuit. She has a strange obsession for curry and will agree to almost anything for food that is curry-related. Shiki's younger sister Akiha Tohno is one of five heroines in the series, she is currently the head of the Tohno family. Shown to be very prim and proper and with a grace and nobility about her. As the story progresses, the viewer discovers that she has had mysterious powers since childhood. When her Tohno blood awakens, her hair turns a crimson shade. Akiha can manipulate her hair in as if it was prehensile and she can drain the life force out of anything her hair is in contact with, which creates a burning effect on the object. Hisui is the younger of the twin maids in the Tohno mansion, Hisui is a childhood friend of Shiki. She wears a western maid uniform and attends to Shiki when he comes back to the Tohno mansion. She acts cold and unfeeling, but it is only an act to hide her kinder nature for the sake of her sister. Her name, Hisui, is the Japanese word for jade, referring to her eye color. She is a Synchronizer, a person that can give someone life energy through proximity or the exchange of body fluids. Kohaku is the older of the twin maids in the Tohno mansion. She wears a Japanese kimono and is always seen to be smiling and cheerful, being especially gifted with medicine. She hides her tragic past behind a cheerful face and Hisui's cold demeanor. Her name, Kohaku, is the Japanese word for amber, referring to her eye color. Like Hisui, Kohaku is a Synchronizer. An 800-year-old vampire who, after dabbling in sorcery had discovered a path to immortality, reincarnation. He is the main antagonist for the Near-Side Routes. Akiha's older brother who underwent the inversion impulse and subsequently was locked up by his father, Makihisa. He is the main antagonist in the Dark-Side routes. A former classmate of Shiki turned vampire. A mysterious woman, who grants Shiki the Mystic Eye Killers. The father of Akiha and SHIKI. 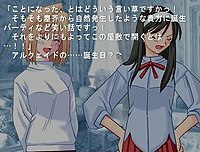 Satsuki Yumizuka was originally meant to be one of the heroines in Tsukihime with her own scenario, however it was cut from the final product. It may however appear as the sixth route in the remake. Several trial versions of Tsukihime were released before its full release. The first preview version of Tsukihime was released at Comiket 56 in 1999, only 300 copies were distributed for free on 3½ floppy disks. The game was so early in the making that the cast had not been finalized yet. At the next Comiket 57 a trial edition was released with only 50 copies being distributed on 3½ floppy disks. The cast was still not finalized at this point. Both preview and trailer versions were later included in Tsukihime Plus-Disc. At Comiket 58 Tsukihime Half Moon Edition was released, 300 copies were sold for 1,000 yen each. This version contained Arcueid and Ciel's "Near Side of the Moon" storylines. The final product of Tsukihime was first released at the 2000 Winter Comiket. Soon after, Type-Moon released Tsukihime Plus-Disc in January 2001, a light-hearted addition to Tsukihime that featured three side-stories and assorted multimedia. The first edition includes wallpapers, the first four chapters of Kara no Kyōkai, an early demo version of Tsukihime, a contemporary Tsukihime demo, and two short visual novel side-stories featuring Tsukihime characters. In April 2003, it was re-released along with Tsukihime and Kagetsu Tohya as Tsukibako. The newer version came with two new stories compiled from NScripter to the more capable KiriKiri engine. In August 2001, Type-Moon produced and published a fan disc to Tsukihime, Kagetsu Tohya (歌月十夜, Kagetsu Tōya, lit. Ten Nights of the Singing Moon) at Comiket. In April 2003, Type-Moon released Tsuki-Bako (月箱, lit. Lunar Box), a specially packaged three-disc set that included Tsukihime, Plus-Disc (in an expanded version) and Kagetsu Tohya, a remixed soundtrack and other assorted multimedia. A 12-episode anime television series adaptation titled Shingetsutan Tsukihime (真月譚 月姫) was directed by Katsushi Sakurabi and produced by J.C.Staff. The series was written by Hiroko Tokita and features original music by Toshiyuki Ōmori. It first aired between October 10 to December 26, 2003 on BS-i, TBS and Animax, who also subsequently broadcast it worldwide, including its English language networks in Southeast Asia and South Asia, under the title Lunar Legend Tsukihime. Two pieces of theme music are used for the episodes; one opening theme and one ending theme. The opening theme was titled "The Sacred Moon" by Toshiyuki Omori, and the ending theme was "Rinne no Hate ni" (輪廻の果てに) by Fumiko Orikasa. Geneon announced it had licensed the series for distribution in North America in 2004 under the title Tsukihime, Lunar Legend. Upon Geneon's American operations having shut down, the newly instituted licensor Sentai Filmworks acquired the North American rights to the series, with Section23 Films handling its distribution and marketing, along with other titles. A Tsukihime manga adaptation, illustrated by Sasaki Shonen, was serialized in ASCII Media Works' shōnen manga magazine Dengeki Daioh between October 2003 and September 2010. The chapters were collected in ten volumes published by ASCII Media Works. The manga was licensed for an English-language release in North America by ComicsOne in 2004. In 2005, DR Master took over the publication of ComicsOne's manga titles including Tsukihime. The plot largely follows the game's Arcueid route with a mix of the other routes. Kagetsu Tohya (歌月十夜, lit. Ten Nights of the Singing Moon) is a sequel takes place one year after the events in the main Tsukihime storyline. Shiki gets into an accident and has a repeating dream sequence in which he must relive the same day over until he finds Ren. As the player repeats each day they are able to make different choices which affect the flow of the narrative and unlock extra content in the game, including 10 side-stories. Melty Blood (メルティブラッド, Meruti Buraddo) is a PC dojin fighting game developed by Type-Moon and French-Bread, it was originally released at Comiket 63 in 2002. The game features characters from the Tsukihime games as well as new characters specific for the games. Multiple updated versions of the game have been created as well as a sequel. It later spawned an arcade version, titled Act Cadenza, that was developed by Ecole Software and was later ported to the PlayStation 2. A remake of the visual novel's soundtrack was released on February 24, 2004 entitled Ever After ~Music from "Tsukihime" Reproduction~. Two soundtrack compilations were released for the anime Shingetsutan Tsukihime, titled Moonlit Archives and Moonlit Memoirs. The music was composed by Keita Haga. The manga series has shown high sales figures in its later volumes. Volume seven stayed in the Japanese comic ranking for two weeks and volume eight stayed in for three weeks. Carlos Santos of Anime News Network on the third DVD release,' is a show that's all about creating a mood, which it does very well with its carefully planned color schemes and evocative music score'. He states, 'It's an ending that takes its time, however, as this show's deliberate pacing ensures that the story is revealed only to those who are patient enough'. In 2008, a remake of Tsukihime was announced by Type-Moon, which would feature updated art and storyline, which they stated would be their next project after Mahōtsukai no Yoru. In May 2012, Type-Moon co-founder Kinoko Nasu stated that the Tsukihime remake was being developed in parallel with the Mahōtsukai no Yoru sequels. Volume eight of the Type-Moon Ace magazine published previews of character art for the remake. ^ 月姫無料告知フロッピー [Tsukihime (Preview)] (in Japanese). Type-Moon. Retrieved August 28, 2010. ^ 月姫 体験版 [Tsukihime Demo] (in Japanese). Type-Moon. Retrieved August 28, 2010. ^ 月姫～半月板～ [Tsukihime Half Moon] (in Japanese). Type-Moon. Retrieved August 28, 2010. 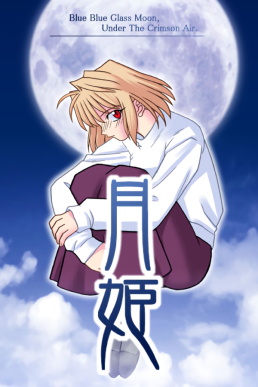 ^ 月姫～完全版～ [Tsukihime ~Complete~] (in Japanese). Type-Moon. Retrieved August 28, 2010. ^ 歌月十夜 [Kagetsu Tōya] (in Japanese). Type-Moon. ^ "Tsuki-Bako". Game Profiles. IGN. Retrieved 2009-01-24. ^ "Anime Central - Geneon License Announcements". Anime News Network. May 14, 2004. Retrieved August 28, 2010. ^ "ADV Films to Distribute Anime for Sentai Filmworks". Anime News Network. October 20, 2008. Retrieved August 28, 2010. ^ 真月譚 月姫（10） (in Japanese). ASCII Media Works. Retrieved January 6, 2014. ^ "New ComicsOne Licenses". Anime News Network. October 10, 2004. Retrieved August 28, 2010. ^ "New DR Master Manga Licenses". Anime News Network. February 22, 2005. Retrieved August 28, 2010. ^ "MELTY BLOOD" (in Japanese). Type-Moon. Retrieved August 28, 2010. ^ "Melty Blood pouring into Japanese arcades". GameSpot. July 15, 2004. Archived from the original on July 16, 2012. Retrieved August 28, 2010. ^ "Melty Blood soaking PS2s". GameSpot. February 24, 2006. Archived from the original on July 16, 2012. Retrieved August 28, 2010. ^ "Ever After ~Music from "Tsukihime" Reproduction~" (in Japanese). Amazon.co.jp. Retrieved August 29, 2010. ^ "真月譚 月姫 オリジナルサウンドトラック1 Moonlit archives" (in Japanese). Amazon.co.jp. Retrieved August 29, 2010. ^ "真月譚 月姫 Original Sound Track2-Moonlit Memoirs" (in Japanese). Amazon.co.jp. Retrieved August 29, 2010. ^ "KATE (alias of Keita Haga)". VGMdb. Retrieved September 14, 2011. ^ "Japanese Comic Ranking, February 22–28". Anime News Network. Retrieved August 29, 2010. ^ "Japanese Comic Ranking, March 1–7". Anime News Network. Retrieved August 29, 2010. ^ "Japanese Comic Ranking, March 22–28 (Updated)". Anime News Network. Retrieved August 29, 2010. ^ "Japanese Comic Ranking, March 29-April 4". Anime News Network. Retrieved August 29, 2010. ^ "Japanese Comic Ranking, April 5–11". Anime News Network. Retrieved August 29, 2010. ^ "Tsukihime DVD 3". Anime News Network. Retrieved 2019-04-12. ^ "Too much Type-moon stuff". Canned Dogs. April 18, 2008. Retrieved August 28, 2010. ^ "Type-Moon 3 New Projects". alafista.com. April 19, 2008. Archived from the original on April 22, 2008. Retrieved August 28, 2010. ^ "Mahou Tsukai no Yoru Sequels In Development At Type-Moon". Silicon Era. May 19, 2012. Archived from the original on 2013-02-08. Retrieved February 8, 2013. ^ "Tsukihime Remake shows off new character designs". Silicon Era. December 14, 2012. Retrieved January 17, 2013. Santos, Carlo (December 7, 2010). "AyaK-ON! - RTO". Anime News Network. Westmount, Quebec.